Pearl Jam performed a pair of tracks on The Late Show with Stephen Colbert on Wednesday. 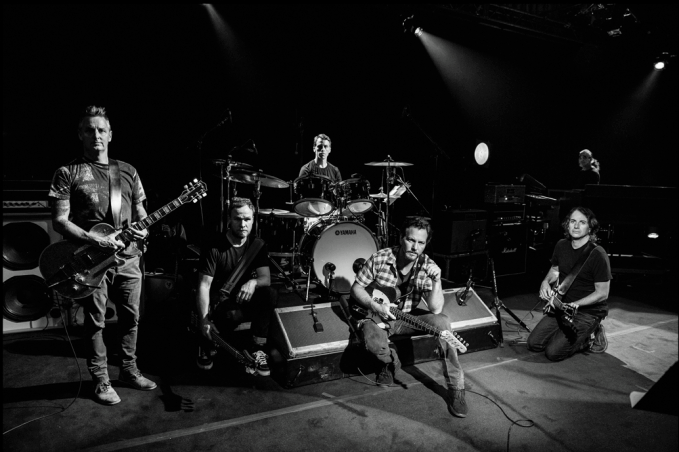 Prior to the performance, Pearl Jam were on hand as guests to speak with Colbert about their headlining appearance at the Global Citizen Festival in New York on September 26. The event is part of a campaign to end extreme poverty by 2030, one of three centerpieces of a new Global Goals initiative to be announced by the UN General Assembly; the plan also involves fighting inequality and actions to protect the planet. Saturday’s event will also see performances by Beyonce, Ed Sheeran and Coldplay, whose lead singer - Chris Martin - is the creative director of the annual event.